Goals from John Brayford and Ryan Flynn in the first half saw the Blades take a two goal lead before Billy Sharp netted in front of the Kop in the second half to seal a much needed victory. In what was their first fixture without Neill Collins who had left the club 24 hours previous to join Tampa Bay Rowdies, Blades chief Nigel Adkins brought Chris Basham into defence whilst handing a starting debut for Academy starlet Ben Whiteman. 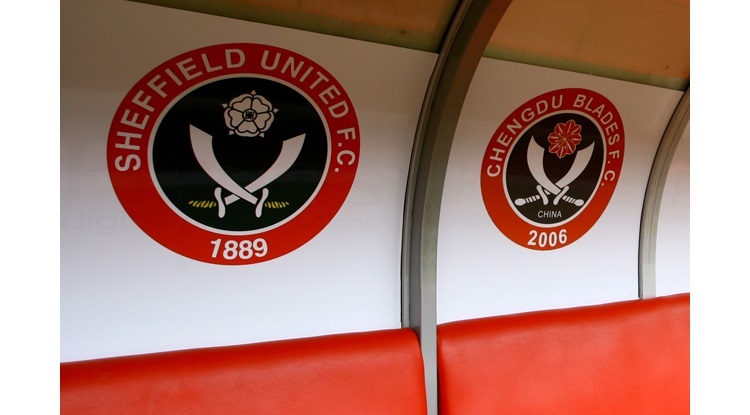 The opening 20 minutes of the game saw the Blades in full control and it was during this period that Sheffield United stormed into a two goal lead. Done, operating down the left flank was a menace to the Oldham defence as he whipped in a couple teasing crosses into the box. Within ten minutes the host were rewarded for their dominance. Done, Adams and Flynn had all worked well in keeping the ball alive, debutant Whiteman laid off to BRAYFORD whose left footed half volley flew past keeper Coleman in front of the travelling support. Adams looked determined to add to his tally for the season as he saw two opportunities in front of goal but didn't quite have that luck. After good work from Flynn and Sharp the forward saw himself crowded out in the box and in another attack blocked a Brayford shot across goal but was unable to sweep home the rebound. The Blades second goal of the afternoon came from great instinctive play when a ball through midfield was charged down by FLYNN who wasn't the intended target. He showed great pace and composure to sprint past the defence, round the keeper before finishing into an empty net. Soon afterwards Flynn flashed over the top after cutting in from the left whilst, at the other end, Long tipped over former Blade Forte's header at goal on 27 minutes but the referee blew for a foul after he aws judged to have pushed Edgar. The visitors managed to dilute United's play as the first half drew to a close but with minutes remaining, Done shot across goal without a positive effect. John Sheriden, Adkins opposite number rang in the changes at the break with on-loan Doncaster forward Curtis Main replacing Dummigan and before the hour mark would have completed their quota for the day. The start of the second half failed to live up to the fireworks which lit up the first 45 proceedings but united did go close three minutes in. Whiteman, Sharp combined and after the latter fed Adams, Coleman saved to prevent a third goal. Long pushed away Main's effort from close range after Palmer laid him off before the Latics used the remainder of their two substitutions prior to the hour mark. Main came the closest to finding the net for the visitors when his long range 30-yard drive proved too much for Long and had to rely on the crossbar as a goal looked likely. Paul Coutts replaced Whiteman who limped off to a standing ovation from the home faithful with 15 minutes remaining. On 77 minutes the Blades added a third, putting this contest truly beyond Oldham. Brayford produced a speculative blind pass into the box down the right hand side and SHARP was able to outpace his marker and fire home at the near post. The remainder of the game went without issue and neither keeper really tested to the limits with the visitors accepting defeat and United happy to play the game out for three points. Sheffield United: Long, Brayford, Flynn, Sharp, Done, McEveley, Baptiste, Adams (Calvert-Lewin 65), Edgar, Hammond (Reed 71), Whiteman (Coutts 75). Unused: Howard, Coutts, Sammon, McGahey. Oldham Athletic: Coleman, Mills, Dieng, J. Wilson, Jones (B. Wilson 59), Amadi-Holloway (Thiele 59), Forte, Palmer, Winchester, Gerrard, Dummigan (Main 45). Unused: Brown, Kelly, Croft, Cornell.